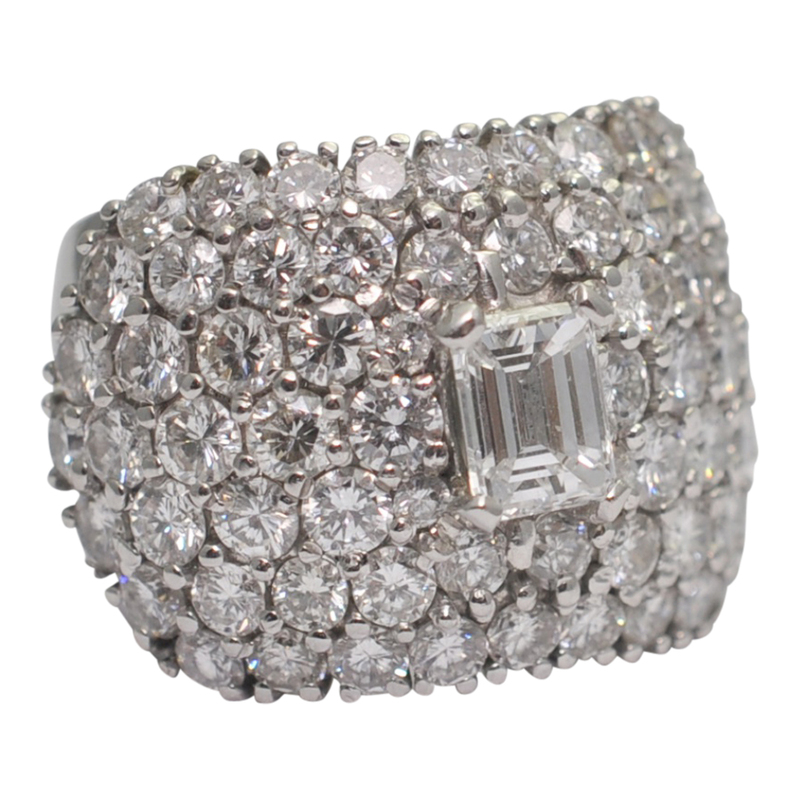 Emerald cut diamond band ring set in platinum; This is a spectacular diamond band ring set with a central emerald cut diamond weighing 0.85ct and surrounded by a further 5.25ct of brilliant cut diamonds, total diamond weight 6.10ct. 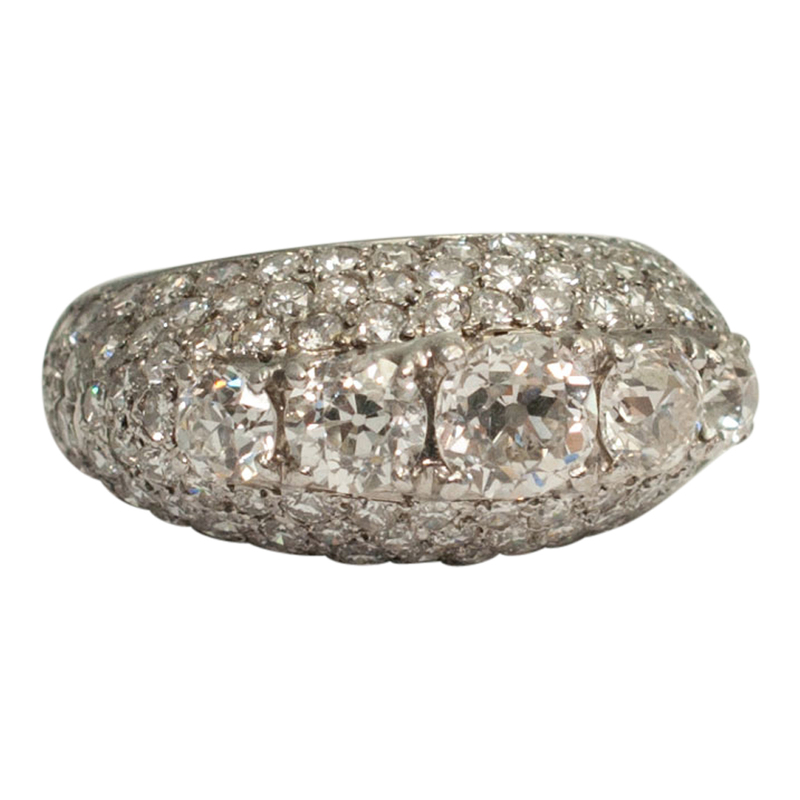 The diamonds are pavé set on a wide platinum band that wraps around the finger and is very comfortable to wear. 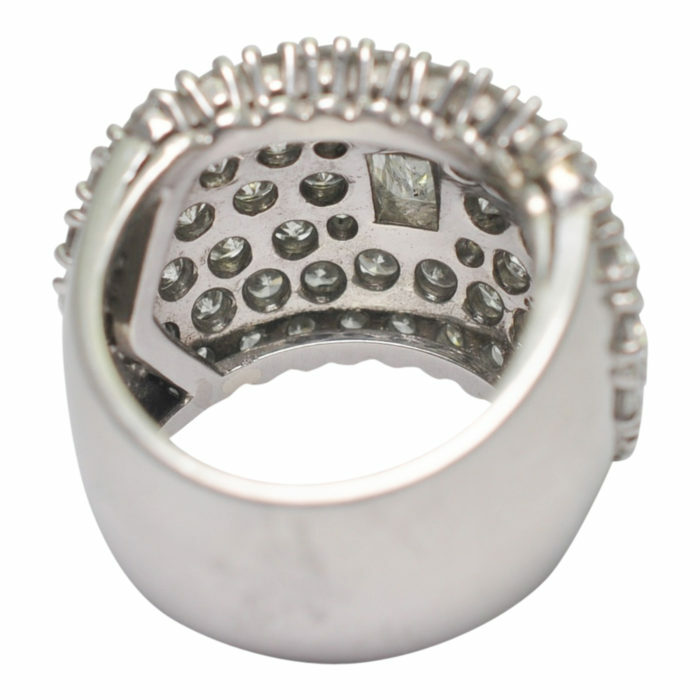 The ring tests as platinum and weighs 25.60gms. Depth at the widest point at the front, 18.2mm, narrowing down to 11.3mm at the back. 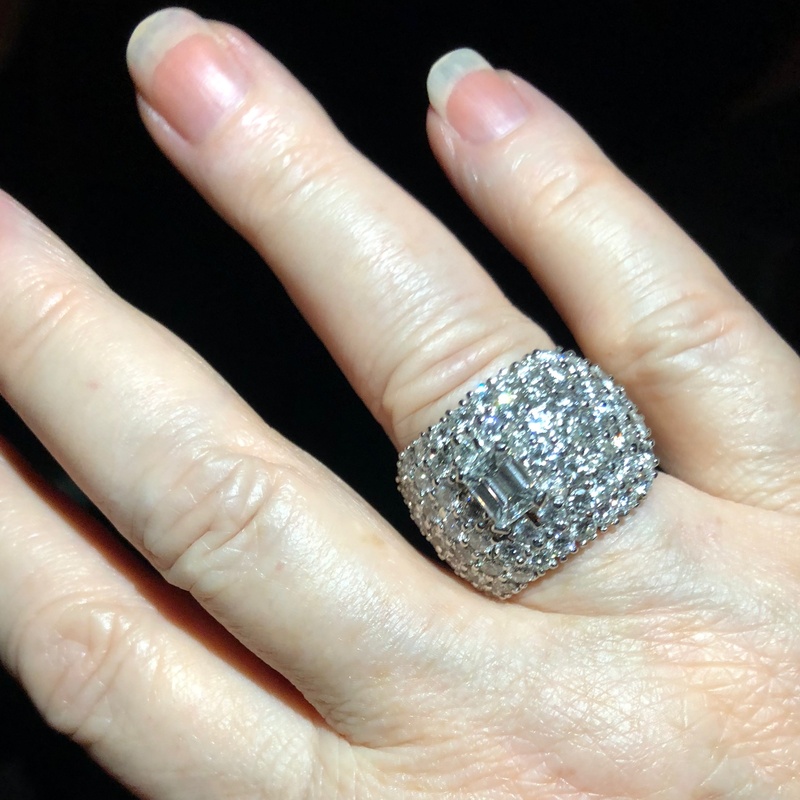 Finger size M (UK), 6.5 (US), 53 (French). 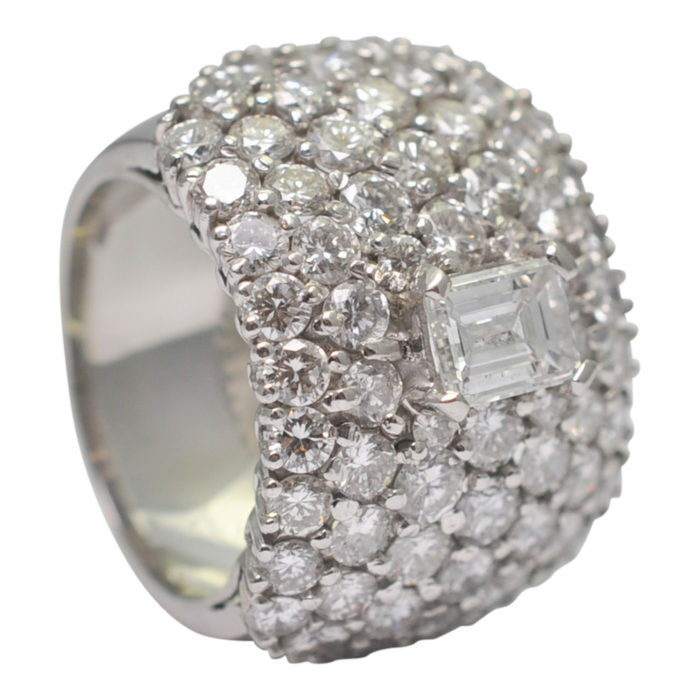 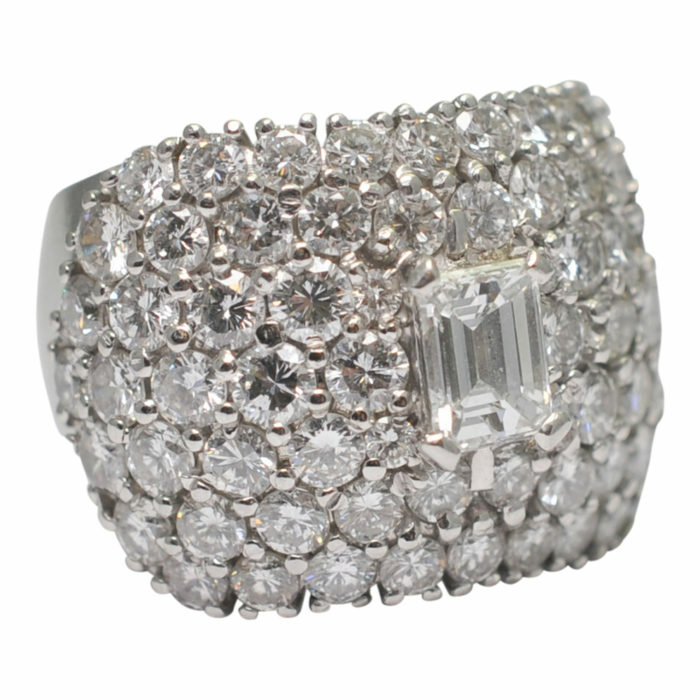 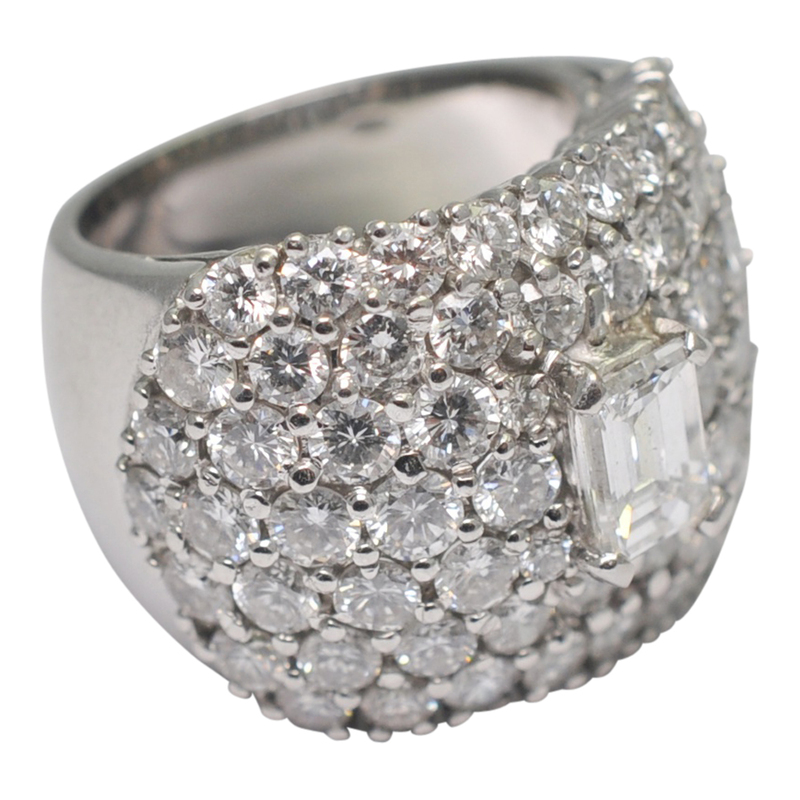 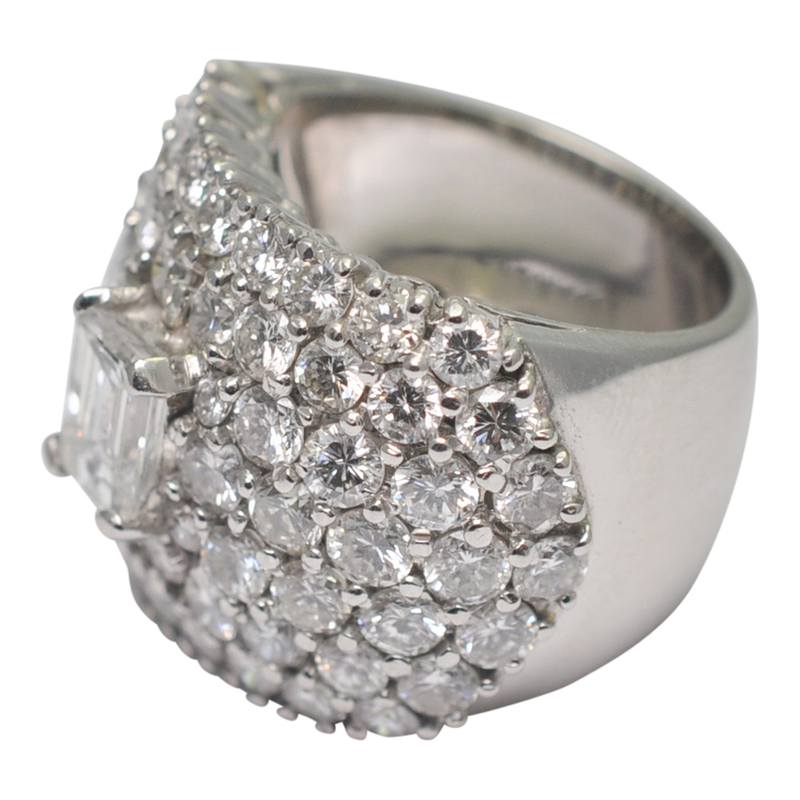 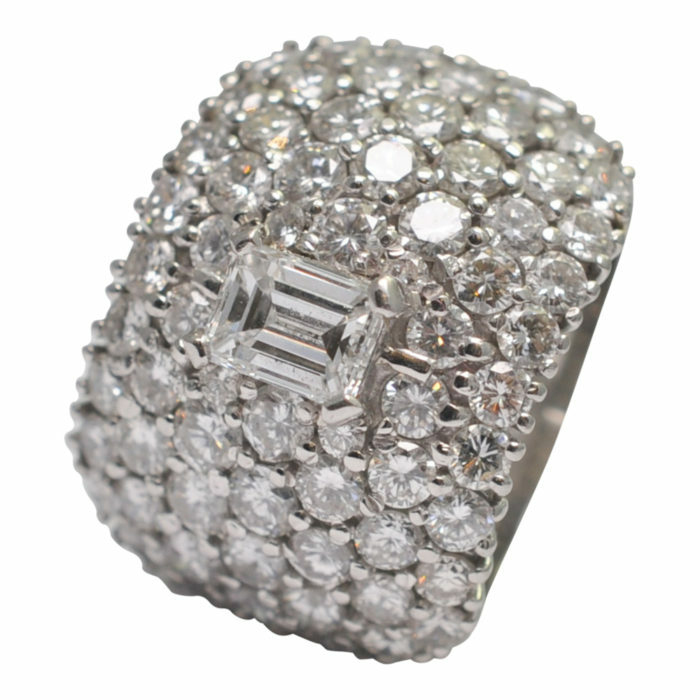 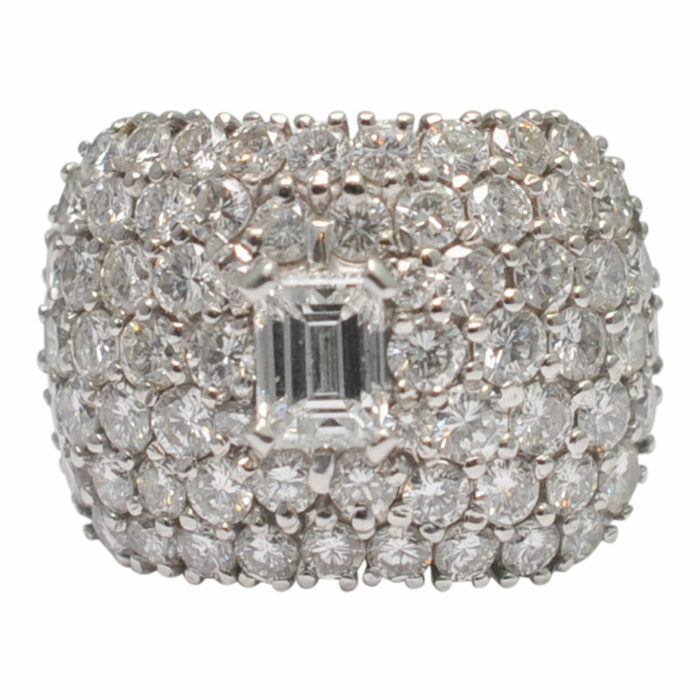 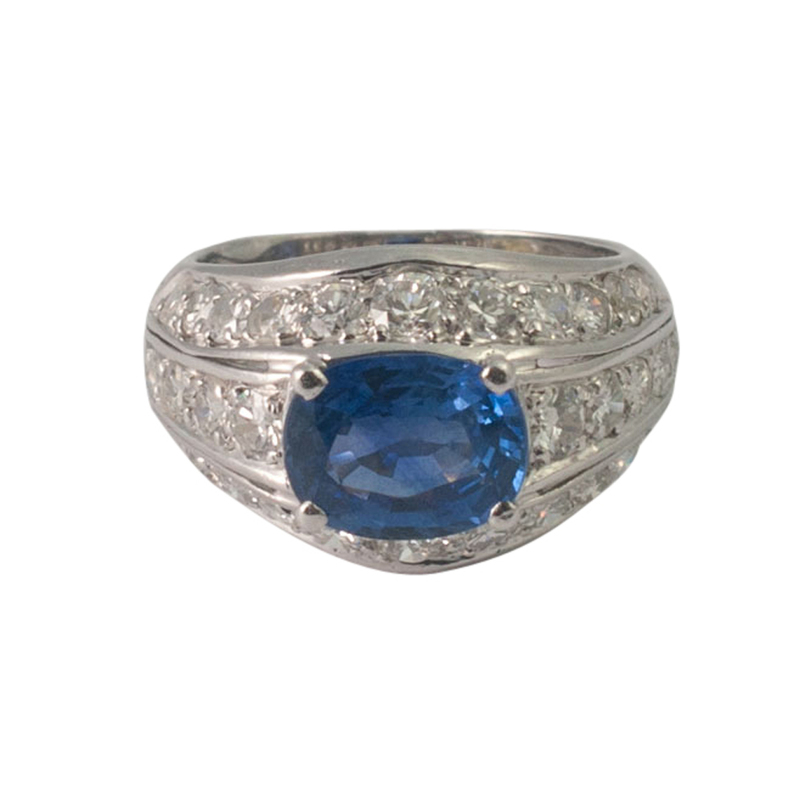 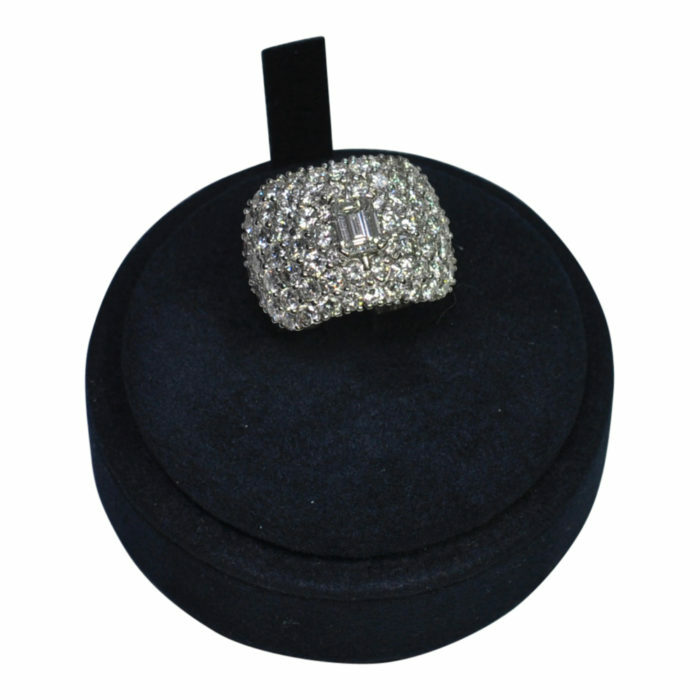 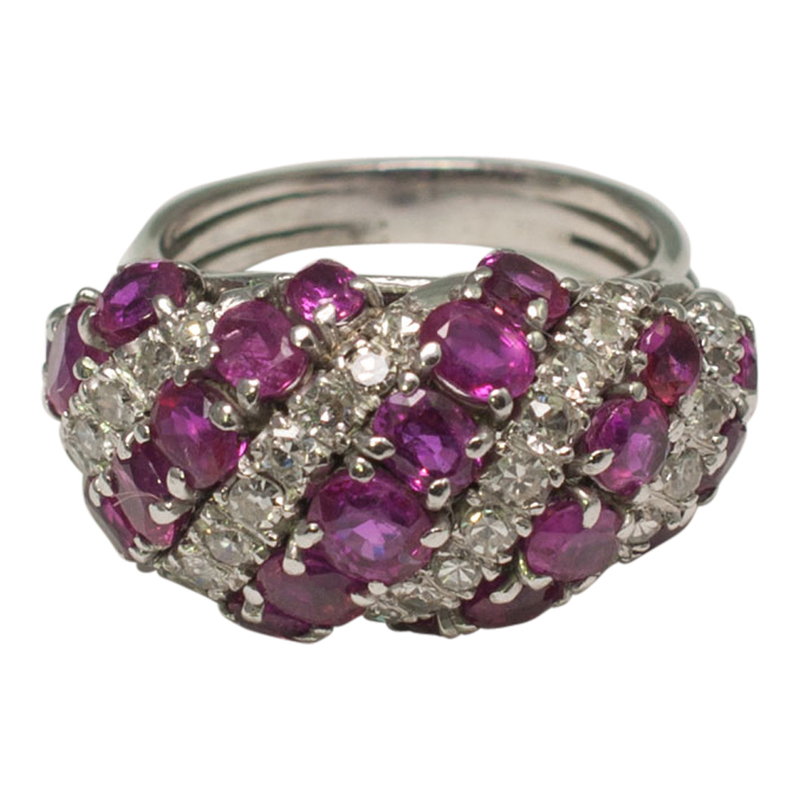 This is a truly magnificent ring that really makes a statement with shimmering diamonds enveloping the finger. 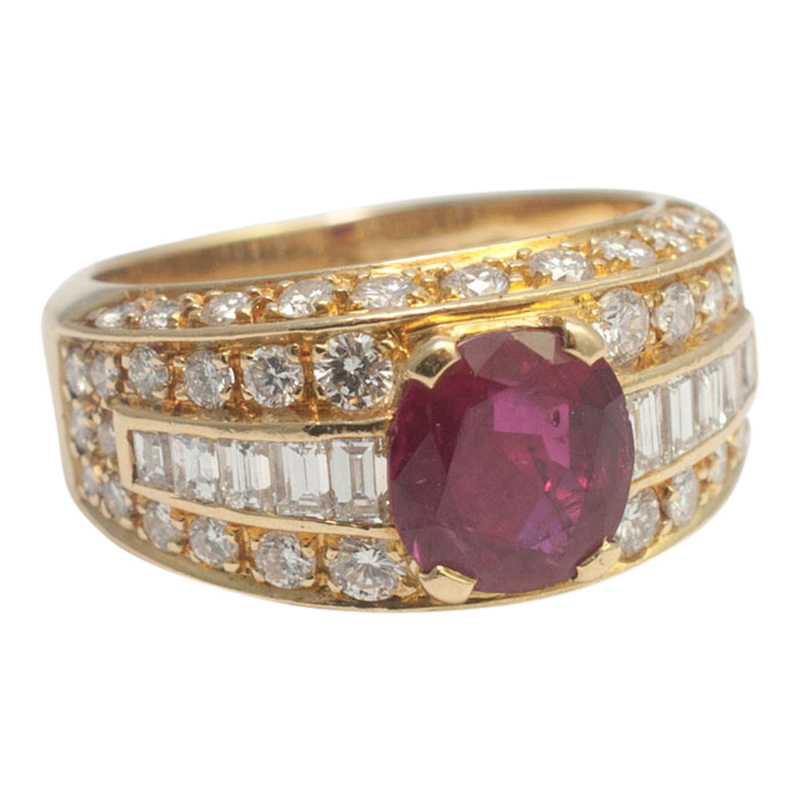 C. 1990.